Today’s Action: Elect Democrats at the state level and stop gerrymandering! The fired FBI director humiliated Trump and left the reporter bewildered at the president’s incompetence. Take Action: Sign the petition to insist Congress censure Trump for continued and egregious abuse of power! Gen. Michael Hayden and James Clapper heard the White House’s sinister plan and fired back in defiance. Take Action: Add your name to revoke Trump’s ignorant, economy-killing tariffs! This prominent conservative has had enough of the president’s treason — and of her party’s refusal to hold him accountable for it. Take Action: Demand Congress subpoena Trump’s translator and get the truth about his meeting with Putin! Ron DeSantis barked up the wrong tree and got more than he bargained for. Take Action: Help continue the blue wave and defeat House Republicans! Find your nearest swing district and do your part to help the House swing left in 2018. OD Action Partner: Resistance Merch refuses to back down and instead doubles down with new products. 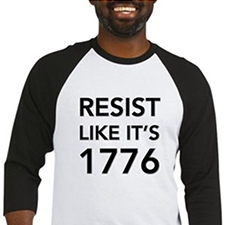 Gear up for the resistance today. The 6-week abortion ban in Ohio. Toxic drinking water in Flint, Michigan. Transgender bathroom bills in North Carolina. Discriminatory voter I.D. laws in more states than we have room to mention. All of this and more, thanks to the GOP at the state legislative level. Don’t live in those states? You’re actually still very affected by their efforts. Aggressive and partisan GOP gerrymandering at the state level in 2011 was so extreme that in 2012, Republicans were able to retake the House with a 49-seat majority even though Democrats received 1.4 million more votes nationwide. Creating a government that reflects our values, the values of the American people, depends on breaking GOP strongholds in districts they’ve unfairly seized. The good people of Sister District are organizing those efforts – but they need volunteers across the nation to actually make it happen. Sign up for Sister District’s volunteer list today — a local district captain will contact you once there are events near you to join, or help you organize your own team! Sister District volunteer opportunities include phone-banking, canvassing, text-banking, postcarding, events and more — all for great Democratic candidates in key state races that Sister District has identified as seats we need to win back to counter the most egregious damage the GOP has had on our nation. And though canvassing and phone-banking can be hard work, it is good work — the two most effective ways to reach voters, if you’re comparing time spent to impact you’ve made. Sign up for local volunteer opportunities (or lead your own!) from Sister District — help win key state legislative seats to stomp out GOP gerrymandering, vote down discriminatory voter I.D. laws, and much more. Cold pizza is a small price to pay for a government that works for all of us again. 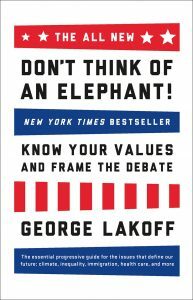 PS — Please don’t forget to sign the petition to stop Trump from pardoning himself and his corrupt cronies, and check out the brilliant “Don’t Think of an Elephant” by George Lakoff — a quick read that contains the ultimate keys for Democrats to win elections — and arguments.